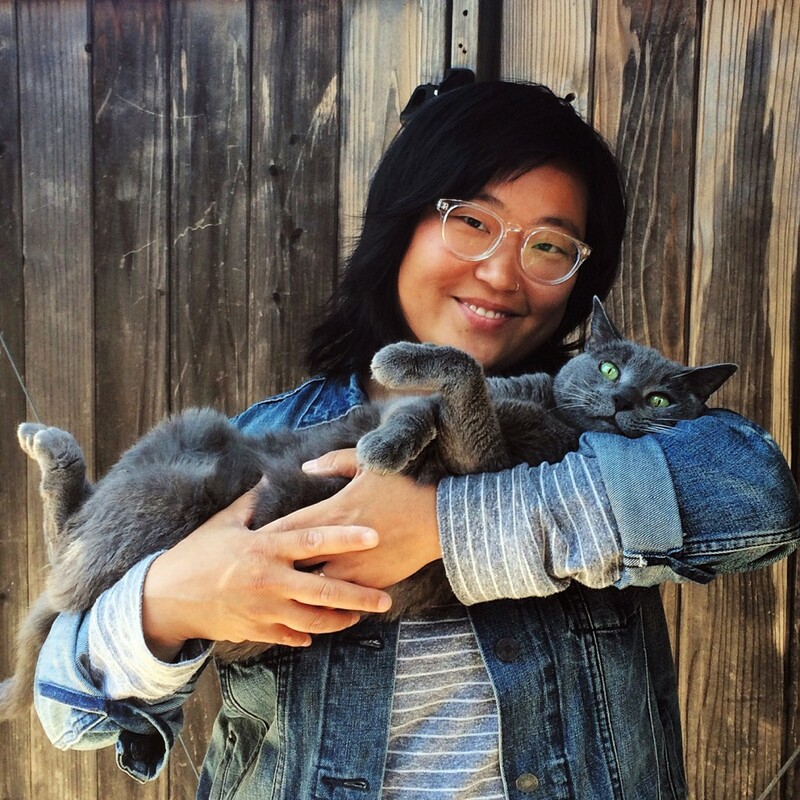 Quick: how do you turn an unpaid invoice into Internet stardom for your cat? Kira Stackhouse ’02 gives Ponette a hug. Kira Stackhouse ’02 is perhaps the only person in the history of the world who can answer that question. An award-winning San Francisco photographer who specializes in working with animals, Stackhouse did a June photo shoot of Waffles the Cat for Cosmopolitan magazine. In mid-August, Cosmo hadn’t yet paid the invoice, so Stackhouse wrote an email to follow up. 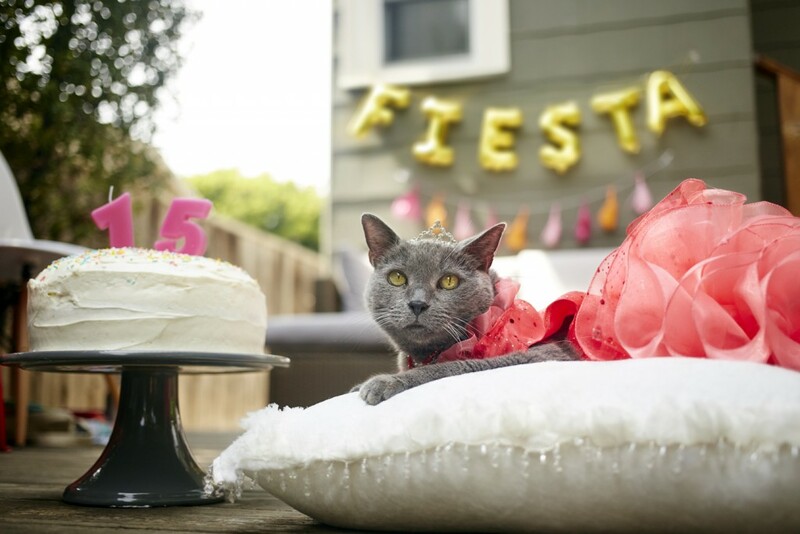 “And I thought you might also be interested in seeing photos of the quinceañera I threw for my cat, Ponette.” A long-held Mexican tradition, a quince is a “coming of age” party for 15-year-old girls. Cosmo jumped at the chance, and just days later on Aug. 18, the magazine published a full photo essay marking Ponette’s big day. 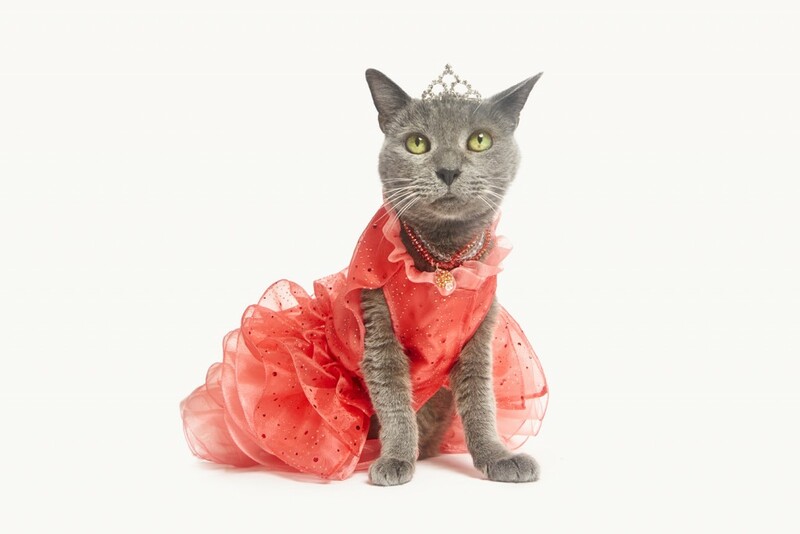 Almost immediately, Ponette took her place among Internet cat sensations Waffles, Henri, Lil Bub, and Grumpy Cat (who Stackhouse has also photographed) as the special birthday girl’s quince photos went viral. In two days The Daily Mail, MTV, Bustle, Latina, and dozens of other sites worldwide picked up Ponette’s party photos, viewed by countless millions of admirers. One look and it’s easy to see why Stackhouse, an art graduate, has been routinely voted “Best Pet Photographer” in the Bay area. Stackhouse is also a self-taught seamstress, and the elegant rose-colored quince gown Ponette sported—along with a tiara, of course—was the result of months of study, planning, and trial and error. Ponette relaxes during her quinceañera. Unlike most cats, whose humans risk bodily harm for attempting to dress them, Ponette is very tolerant, largely because she was heavily socialized from early kittenhood. Stackhouse adopted her best friend during her second year as a McKelvy Scholar, so Ponette subsequently matriculated at Lafayette, albeit unofficially. She traveled all over the Quad, Farinon, and the Williams Center in Stackhouse’s messenger bag. “Ponette is a Lafayette alum too,” says Stackhouse, a Bethlehem native and stepdaughter of David Liedl ’78. Despite her artistic background, Stackhouse didn’t see photography as anything other than a hobby until a betrothed California friend was unable to find a wedding photographer. Stackhouse offered to play the role, and business snowballed from there. Her award-winning photography has been featured in places as varied as Barron’s, Life+Dog, Pet Food Express, Restoration Hardware and Rolling Stone. Photographer for the World’s Ugliest Dog contest annually since 2011, Stackhouse routinely gives back to the community by photographing adoptable pets at numerous shelters and humane societies. As if that weren’t all, the untiring Stackhouse creates and sells her handmade pet clothing and baby booties. Stackhouse was equally busy at Lafayette. Member of the volleyball team, co-president of QuEST and secretary for both Women’s Group and the French Club, Stackhouse was also an EXCEL Scholar in printmaking and the recipient of the Image of Success and Academic Athlete awards.